Diabesity and the Microbiome by Filomena Trindade is a presentation that took place at Silicon Valley Health Institute on September 15, 2016. 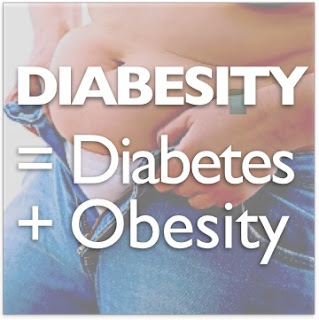 Diabetes and obesity are global health conditions which are increasing. Adult obesity prevalence increased from 13 to 32% between the 1960s and 2004. Changes in obesity prevalence among children and teens tripled, from nearly 5% to approximately 15% since the 1960s. Currently, 66% of U.S. adults are overweight or obese. The incidence of diabetes is increasing and afflicting new populations including children and developing societies. Diabetes is occurring at younger ages and at lower BMI levels. It appears that both our understanding of the disease and our treatment of the disease are inadequate. Current approaches are not working. Filomena Trindade, MD, MPH is an international sought after speaker in functional medicine. She is a graduate of the fellowship in Anti-Aging, Regenerative and Functional Medicine and teaches in the Fellowship (a master's program through the University of South Florida) as well as for the Institute of Functional Medicine (IFM). did her residency training in family practice at the U.C. San Francisco/Santa Rosa Program. She has been in clinical practice for over 16 years. Before starting her own private practice in 2004 in functional medicine she was the medical director of a non-profit organization that catered to the under-served. She is currently very active in developing teaching programs in Functional Medicine in the USA, Latin America and Europe. Diagnosed with type 1 diabetes in 1946 at the age of 12, Dr. Richard K. Bernstein never set out to be a doctor. Not only that but according to statistics from the American Diabetes Association, he should have been long dead by now. 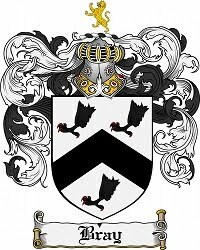 That he is very much alive and, in fact, in excellent health, can be attributed to two primary causes. The first is that he was originally trained as an engineer and attacked his disease as a problem to be solved and not a condition to be treated. The second is that he was fortunate enough to still to be alive when the first blood glucose meters arrived on the scene. He is the first diabetic ever to monitor his own blood sugars. 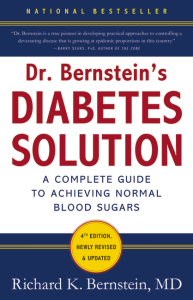 These facts combined with Dr. Bernstein’s sheer determination to solve the problem of diabetes led to his revolutionary method of blood glucose normalization, which he demonstrates in the groundbreaking, perennial bestselling book, Diabetes Solution. In 1969, after following ADA guidelines for more than twenty years, Dr. Bernstein had many of the debilitating complications of the disease. Sick and tired of being at the mercy of his disease, he obtained one of the early blood glucose meters. Hardly the cheap and common instrument it is now, the device was intended for a very small and specialized niche: To help keep hospitals from inadvertently allowing comatose diabetics to die at night when their labs were closed, because a diabetic in a coma smells of ketones and can be easily mistaken for someone who has been drinking heavily. Dr. Bernstein obtained one of the devices at the princely sum of about $700—today, based on inflation, that’s nearly $5,000. Dr. Bernstein used himself as a guinea pig and began testing his blood glucose throughout the day, hoping to discover what made it go up and down. After considerable trial and error, not to mention research, he discovered that he could normalize his blood glucose through diet, exercise and medication—and that he could help others do the same. This was his elegant, landmark breakthrough: The only difference between a diabetic and a non-diabetic is high blood sugars. All of the complications of diabetes are caused by high blood sugars. Therefore, if you can normalize blood glucose, you can prevent the complications or make them go away, which is exactly what a cure would do. Except that when the then-engineer Richard Bernstein tried to persuade the medical community that he had found the answer, the medical community roundly ignored him—even told him that it was impossible. So, in his mid-forties, he decided the leave his successful career in business and go to medical school. Even when the first edition of his landmark Diabetes Solution came out in 1997, Dr. Bernstein was still battling established notions about diabetes treatment. That’s less true today, but it’s also less important today in the era of consumer-directed healthcare plans and readily available health information on the Web. Today, many thousands of patients and readers later, Dr. Bernstein continues to see and train patients, maintains a busy schedule that includes a monthly question-and-answer teleconference, and continues to refine his cutting edge program of blood glucose normalization. He reaches more patients than he ever could have back when he first opened his practice—and slowly, too slowly perhaps, the standard of care has been changing to mirror his ideas. The simple, straightforward program that is detailed in his book Diabetes Solution, is based in good nutrition, healthy exercise, and (where necessary) small doses of medication. Dr. Bernstein will show you what he has learned during his 69 years of living with Type 1 diabetes and how, through intense research and experimentation he developed his unique but simple plan which has helped countless diabetics. “It’s astonishing no one thought of it before,” he says. “Many in the field of diabetes care still do not accept it!” But those who follow the program stick with it for one reason: it works! Developed almost completely outside the mainstream of diabetology, his low carbohydrate solution has helped patients of various ages and symptoms, young and old. Achieving normal blood sugars is not as difficult as one might believe, and he has included case studies of patients who have experienced dramatic improvements in their diabetes. Perhaps you or your loved ones may already be suffering from some complications of diabetes, such as gastroparesis, heart disease, kidney disease, retinopathy, frozen shoulder, etc.